Bale offers charms in an array of themes, academics, vocations, occupations, and extracurricular interests. 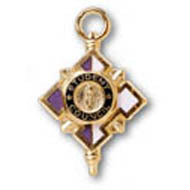 Charms make great momentos that promote team spirit among members of teams and academic clubs. Let the class or teams know that they are appreciated through the giving of this practical and fun gift.